Shop Fair at Faire's Giving Days Sale! Celebrate Small Business Saturday by supporting independent shops! My newest sponsor Faire Collection is having their special Giving Days Sale, offering 25% off their favorite holiday items (you can check out a few of my personal favorites in the collage above). Not only do they have a gorgeous selection of fashion-forward items from around the world, but also an admirable company mission. Faire offers unique and luxurious handcrafted goods, each piece carefully designed in Brooklyn and made with love from sustainable materials by a specially trained artisan. The company believes in transparency and has a unique approach to social impact, seeking to provide support for their artisans and artisans' communities through mentorship, training programs, scholarships, and more. You can learn more about their social impact here. 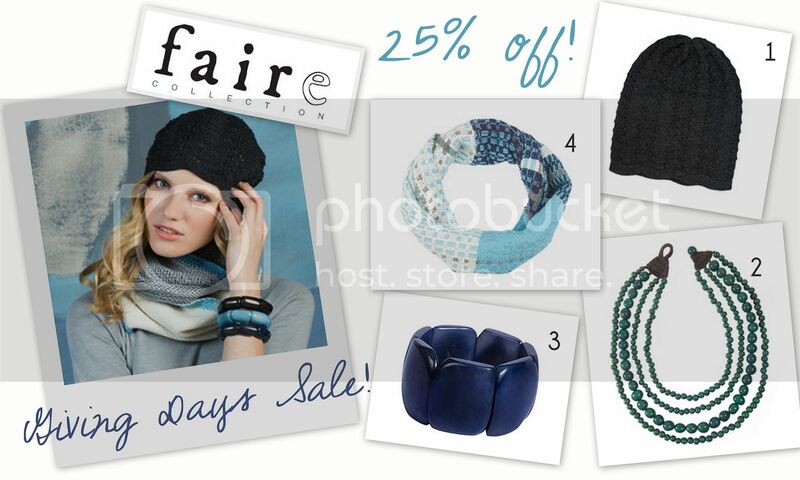 Faire Collection's 25% off Giving Days Sale is going on now through Tuesday, December 3rd! Shop here.